These have been very busy months! It was exciting to do a couple of sold out shows with We Are Augustines in Manchester and London last week and it looks like they might bring back the horn section for their summer festival dates. Also excited to be recording an album with Danish jazz bassist Henrik Jensen’s band later this month as well as a session with Irish rocker Chris Singleton. Having recently finished our UK album tour of Forward Space, the Andre Canniere Group will be making another London appearance this month at The Oxford in Kentish Town on May 14th. We’ve got some new material to try out for this one and are looking forward to having it heard for the first time! 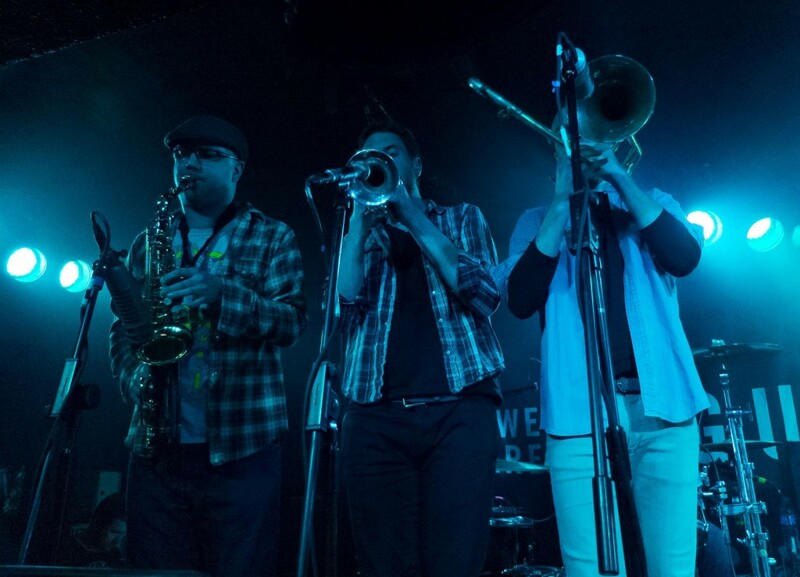 Here’s a photo of the horn section from the We Are Augustines gig in Manchester.